This used to be a basic hamburger and French fry place. A couple of years ago it made a drastic change and now offers a variety of Asian dishes. Menu items include Japanese-style omelets, spicy tofu and eggplant, and octopus dumplings. Although the menu has changed, the decor hasn't, and eating traditional Asian dishes in a venue that looks like a typical theme part fast food restaurant feels a little unnatural. 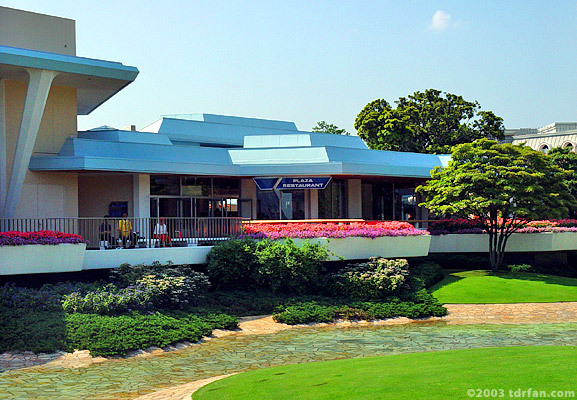 There are a couple of better options in Tokyo Disneyland if this is the type of food you seek: For Japanese, I recommend the elegant Restaurant Hokusai, and for Chinese it's hard to beat the beautiful setting of the China Voyager.